Wikimedia Commons has media related to 1755 . 1755 ( MDCCLV ) was a common year starting on Wednesday of the Gregorian calendar and a common year starting on Sunday of the Julian calendar , the 1755th year of the Common Era (CE) and Anno Domini (AD) designations, the 755th year of the 2nd millennium , the 55th year of the 18th century , and the 6th year of the 1750s decade. As of the start of 1755, the Gregorian calendar was 11 days ahead of the Julian calendar, which remained in localized use until 1923. Tatiana Day is a Russian religious holiday observed on 25 January according to the Gregorian calendar, January 12 according to the Julian. It is named after Saint Tatiana, a Christian martyr in 3rd-century Rome during the reign of Emperor Alexander Severus. Commodore Sir William James, 1st Baronet, FRS was a Welsh-born commander of the East India Company navy, director of the Company and politician who sat in the House of Commons from 1774 to 1783. He conducted successful campaigns against the navies of Indian territories. July 25 – The decision to deport the Acadians is made, during meetings of the Nova Scotia Council meeting in Halifax. From September 1755-June 1763, the vast majority of Acadians are deported to one of the following British Colonies in America: Massachusetts, Connecticut, New York, Pennsylvania, Maryland, Virginia, North Carolina, South Carolina and Georgia. Contrary to popular belief, no Acadians are sent to Louisiana. Those sent to Virginia are refused and then sent on to Liverpool, Bristol, Southampton and Penryn in England. In 1758 the Fortress of Louisbourg falls, and all of the civilian population of Isle Royal (Cape Breton Island) and Isle St. Jean (Prince Edward Island) are repatriated to France. Among them were several thousand Acadians, who had escaped the deportation by fleeing into those areas. Very few Acadians successfully escape the deportation, and do so only by fleeing into some of the northern sections of present day New Brunswick. The event inspires Longfellow to write the epic poem Evangeline . 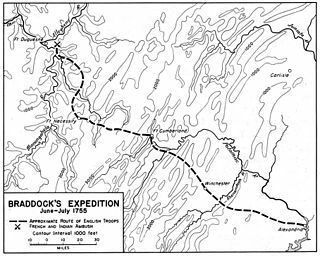 The Braddock expedition, also called Braddock's campaign or, more commonly, Braddock's Defeat, was a failed British military expedition which attempted to capture the French Fort Duquesne in the summer of 1755 during the French and Indian War. It was defeated at the Battle of the Monongahela on July 9, and the survivors retreated. The expedition takes its name from General Edward Braddock, who led the British forces and died in the effort. Braddock's defeat was a major setback for the British in the early stages of the war with France and has been described as one of the most disastrous defeats for the British in the 18th century. October 11 is the 284th day of the year in the Gregorian calendar. There are 81 days remaining until the end of the year. The AshantiEmpire was an Akan empire and kingdom in what is now modern-day Ghana from 1670 to 1957. The Ashanti Empire expanded from Ashanti to include the Brong-Ahafo Region, Central Region, Eastern Region, Greater Accra Region and Western Region of present-day Ghana. Due to the empire's military prowess, wealth, architecture, sophisticated hierarchy and culture, the Ashanti Kingdom has been extensively studied and has more historiographies by European, primarily British, authors than any other indigenous culture of Sub-Saharan Africa. Wolsey , the clothes manufacturer, is established in Leicester, England; the business celebrates its 250th anniversary in 2005. The brine shrimp Artemia salina is first described, in Linnaeus' Systema Naturæ . Wolsey is a heritage British clothing brand founded in 1755, making it one of the oldest existing textile companies in the world. The brand sells men's clothing and accessories, including a range of knitwear, socks, underwear and scarves. The company holds a Royal Warrant and is based in Leicester, England, where it was originally established. The company name, adopted in 1920 when R Walker & Sons merged with W Tyler and Sons, is a reference to Cardinal Wolsey. 'Wolsey' is a registered trademark. 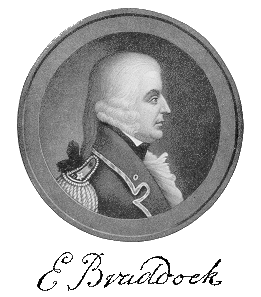 Major General Edward Braddock was a British officer and commander-in-chief for the Thirteen Colonies during the actions at the start of the French and Indian War (1754–1763), which is also known in Europe and Canada as the Seven Years' War (1756–1763). He is generally best remembered for his command of a disastrous expedition against the French-occupied Ohio River Valley in 1755, in which he lost his life. The Expulsion of the Acadians, also known as the Great Upheaval, the Great Expulsion, the Great Deportation and Le Grand Dérangement, was the forced removal by the British of the Acadian people from the present day Canadian Maritime provinces of Nova Scotia, New Brunswick, and Prince Edward Island — parts of an area also known as Acadia. 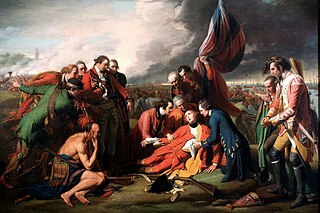 The Expulsion (1755–1764) occurred during the French and Indian War and was part of the British military campaign against New France. The British first deported Acadians to the Thirteen Colonies, and after 1758, transported additional Acadians to Britain and France. In all, of the 14,100 Acadians in the region, approximately 11,500 Acadians were deported. A census of 1764 indicates that 2,600 Acadians remained in the colony, presumably having eluded capture. Fort Edward is a National Historic Site of Canada in Windsor, Nova Scotia, and was built during Father Le Loutre's War (1749-1755). The British built the fort to help prevent the Acadian Exodus from the region. The Fort is most famous for the role it played both in the Expulsion of the Acadians (1755) and in protecting Halifax, Nova Scotia from a land assault in the American Revolution. While much of Fort Edward has been destroyed, including the officers quarters and barracks, the blockhouse that remains is the oldest extant in North America. A cairn was later added to the site. Major-General John Winslow, descendant of Pilgrim Edward Winslow, was an officer during the French and Indian War. The military of New France consisted of a mix of regular soldiers from the French Army and French Navy supported by small local volunteer militia units. Most early troops were sent from France, but localization after the growth of the colony meant that, by the 1690s, many were volunteers from the settlers of New France, and by the 1750s most troops were descendants of the original French inhabitants. Additionally, many of the early troops and officers who were born in France remained in the colony after their service ended, contributing to generational service and a military elite. The French built a series of forts from Newfoundland to Louisiana and others captured from the British during the 1600s to the late 1700s. Some were a mix of military post and trading forts. Montcalm and Wolfe (ISBN 0-306-80621-5) is the sixth volume in Francis Parkman's seven-volume history, France and England in North America, originally published in 1884. It tells the story of the French and Indian War. Its title refers to Louis-Joseph de Montcalm and James Wolfe, the commanding generals of the French and English forces respectively and to whom the book devotes particular attention. Parkman considered the book his masterpiece. The Siege of Port Royal, also known as the Conquest of Acadia, was a military siege conducted by British regular and provincial forces under the command of Francis Nicholson against a French Acadian garrison and the Wabanaki Confederacy under the command of Daniel d'Auger de Subercase, at the Acadian capital, Port Royal. 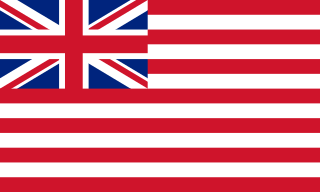 The successful British siege marked the beginning of permanent British control over the peninsular portion of Acadia, which they renamed Nova Scotia, and it was the first time the British took and held a French colonial possession. After the French surrender, the British occupied the fort in the capital with all the pomp and ceremony of having captured one of the great fortresses of Europe, and renamed it Annapolis Royal. The Duc d'Anville expedition was sent from France to recapture Louisbourg and take peninsular Acadia. The expedition was the largest military force ever to set sail for the New World prior to the American Revolution. This effort was the fourth and final French attempt to regain the Nova Scotian capital, Annapolis Royal, during King George's War. The Expedition was also supported on land by a force from Quebec under the command of Jean-Baptiste Nicolas Roch de Ramezay. 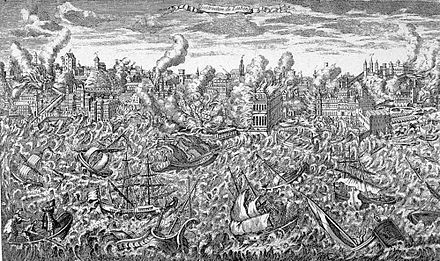 Along with recapturing Acadia from the British, d'Anville was ordered to "consign Boston to flames, ravage New England and waste the British West Indies." News of the expedition spread fear throughout New York and New England. ↑ "The Battle of the Monongahela". World Digital Library . 1755. Retrieved 2013-08-03. ↑ "Sailing Ship Dodington (history)". Dodington Family. 2002. Archived from the original on 2005-01-14. Retrieved 2 April 2012. ↑ "Tynet, St Ninian's Church". ScotlandsPlaces. Royal Commission on the Ancient and Historical Monuments of Scotland. Archived from the original on March 3, 2016. Retrieved January 5, 2015.